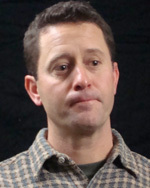 Kevin Olson, associate publisher, The Jackson Hole News & Guide, Jackson Hole Daily, started at the newspaper in September 2001. Olson says a small-town weekly has impact. “You publish a story and you go to lunch and wait on line and people are asking questions,” says Olson. Olson’s company publishes a $1 weekly newspaper and a six-days-a-week free newspaper. Olson believes the newspapers are key to building a community dialogue. “You are creating a town square for your community,” says Olson. Kevin Olson, associate publisher, The Jackson Hole News & Guide, Jackson Hole Daily, says at one time Jackson, Wyo., had two competing weekly newspapers and two competing free dailies, but the two companies printing them merged in November 2002. “Fortunately advertisers and readers were trained early on … that there was a perceived and real difference between the audiences that read the papers,” says Olson. The weekly was aimed at local residents and the free daily at visitors to Jackson Hole. Kevin Olson, associate publisher, The Jackson Hole News & Guide, Jackson Hole Daily, says his newspapers earn dollars on-line by selling an e-edition, web display ads, and photo re-prints, and they sell classified advertising and subscriptions online. They have opted for local control in their web business initiatives, avoiding third-party partners. “We are reluctant to help others share the fruits of the audiences we have worked so hard to get,” says Olson. Kevin Olson, associate publisher, The Jackson Hole News & Guide, Jackson Hole Daily, says anyone seeking a job at the Jackson Hole newspapers first needs “to be prepared for seven months of winter.” He says the Jackson Hole newspapers are a pleasant place to be employed. “It’s fun to work for owners who care about the individual,” says Olson. As for prospects for the profession, “There’s a future in journalism,” says Olson.